Take your baby's classic Gerber onesie look to the next level with this adorable tutu version! This cute 2-piece set makes the perfect baby shower gift, costume, or everyday wear. Customize the onesie with your own text or art to make it truly one of a kind. It's your little princess' birthday and she deserves nothing but to look the most beautiful among all! This irresistibly cute design for the birthday girl is perfect! More so, if her name is in it! 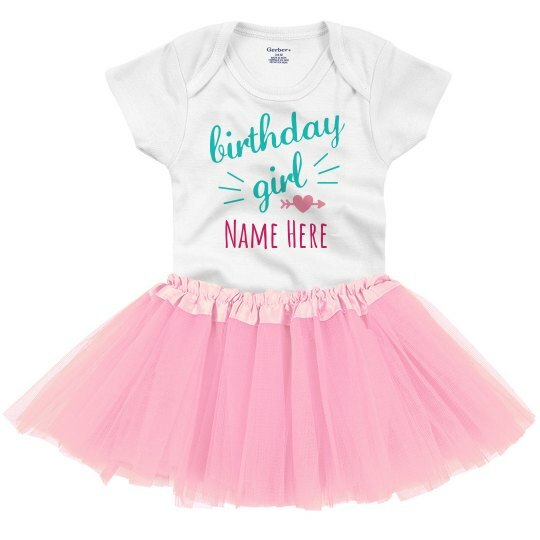 You can easily customize this fun onesie tutu set for a special little gal in your life.